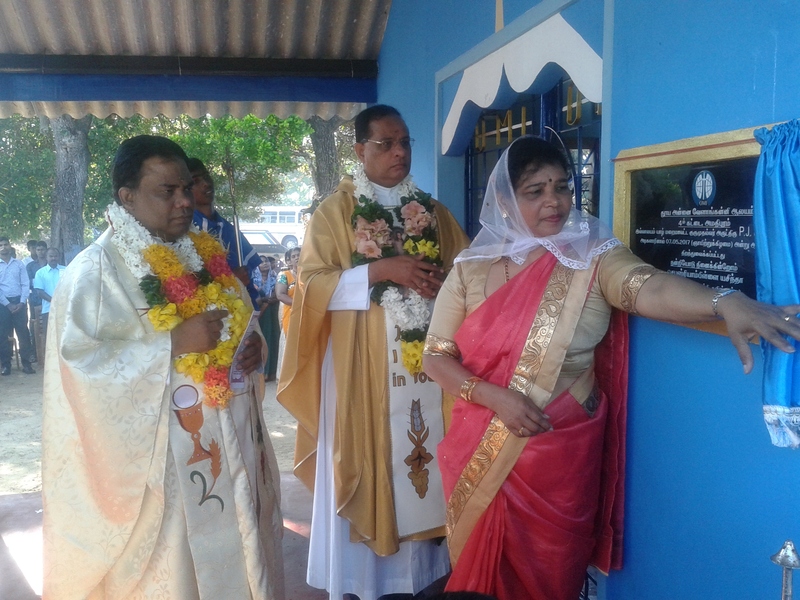 English Medium Primary School was opened at Annai Illam – An Educational Resource Centre, No. 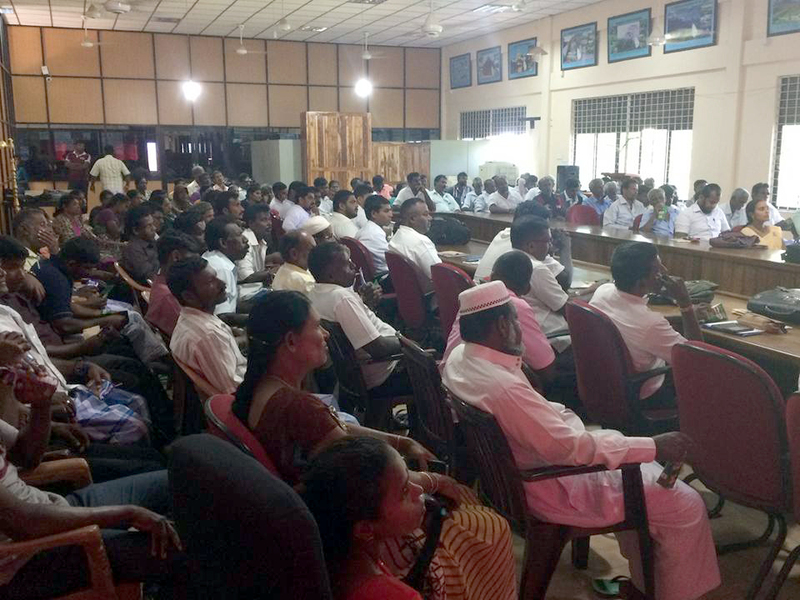 87, Kanahambihai Kulam, Kilinochchi on January 23, 2017. 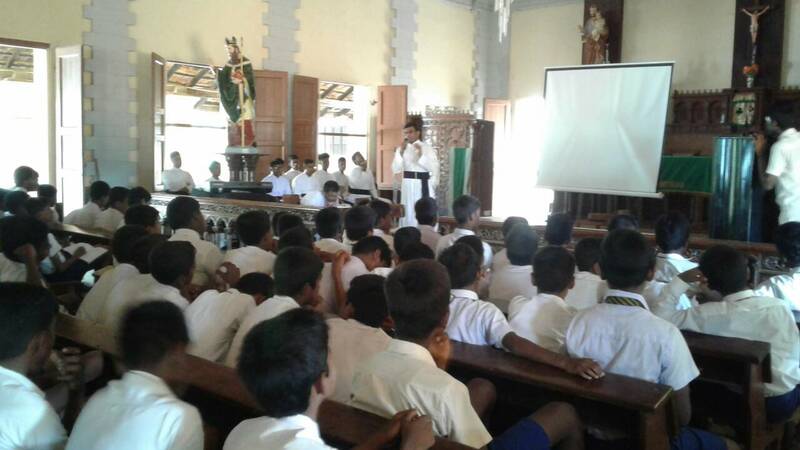 It is a very humble beginning but with a farsighted vision of evolving as either a branch school of St. Patrick’s College, Jaffna or as an International School with national educational Curriculum. Among the 40 children at Annai Illam Preschool 7 children was promoted to Grade one in the newly established English Medium Primary School . There will be 25 to 30 preschoolers to qualify to grade one next year. 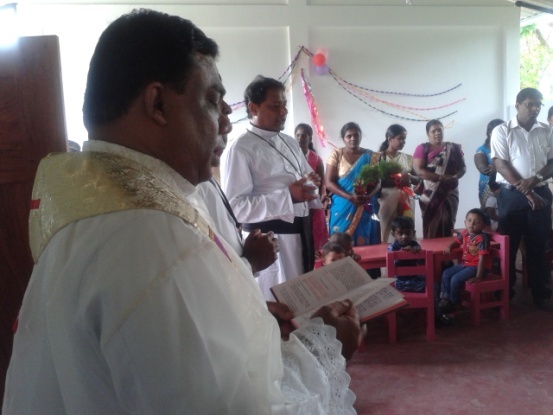 The school was blessed and opened by Fr. Provincial Superior. 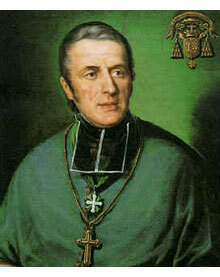 In his address Fr. 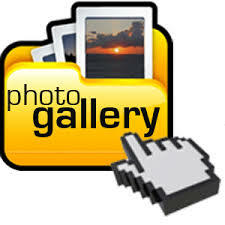 Provincial shared that this school has its blessings from distinguished government servants as well as the local catholic church authority, viz. 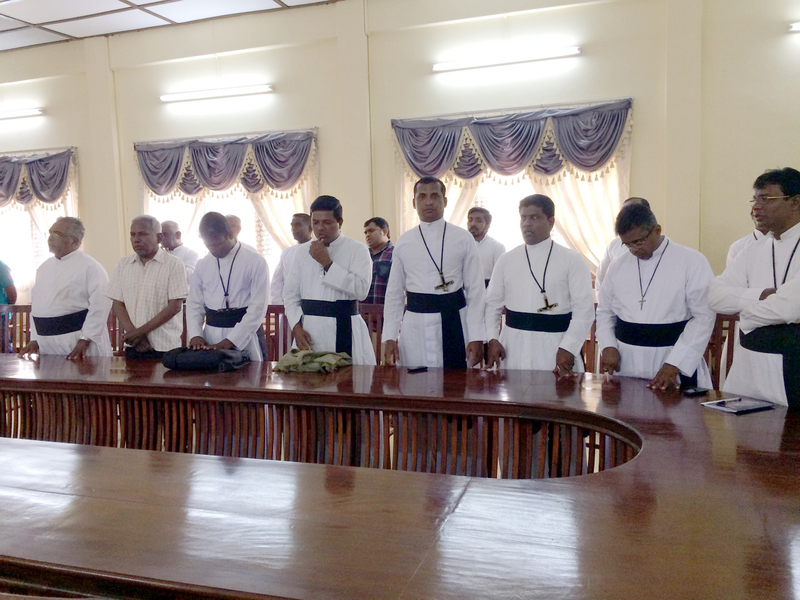 the Northern Province Minister of Education, the Government Agent of Kilinochchi District, the Director of Education of Kilinochchi and the Bishop of Jaffna…etc. 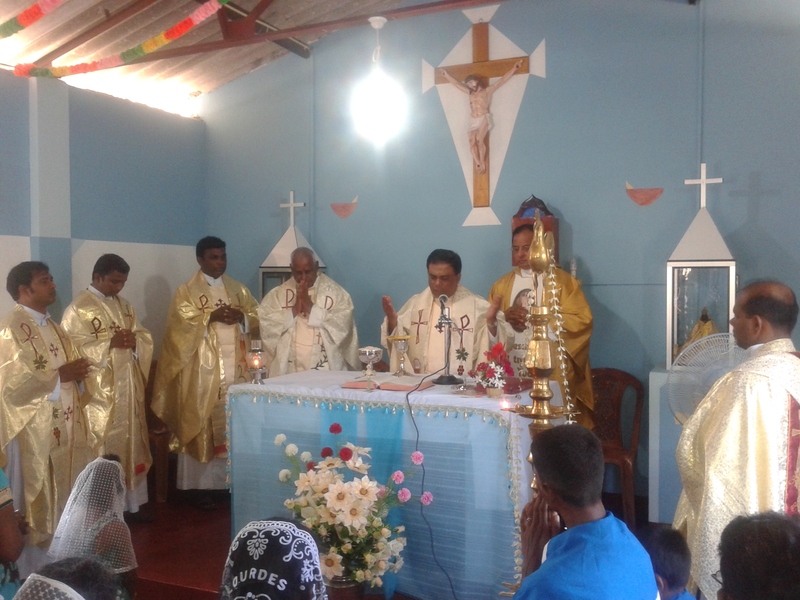 The Sri Lankan Tamil Catholic Chaplaincy in France headed by Rev. Fr. 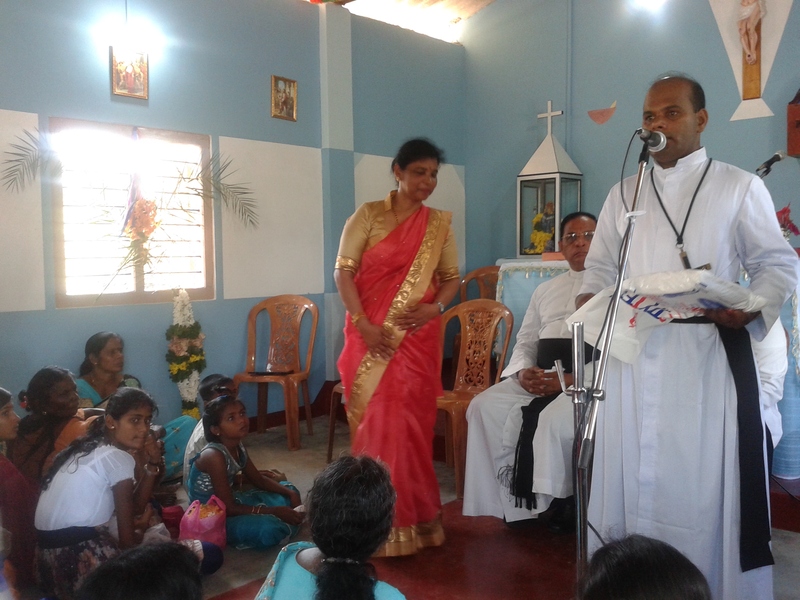 Kamalanathan,OMI financially supported for the initial part of the English medium primary school building which was blessed by Fr. Provincial. 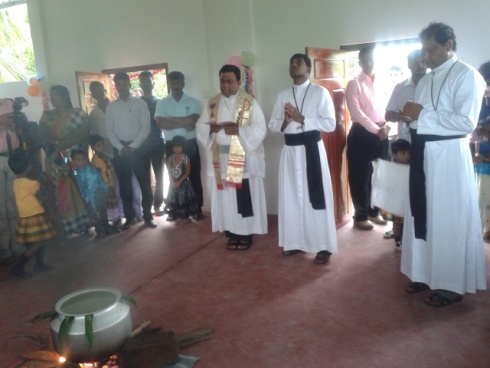 The hard work of the Oblates at Annai Illam, particularly Rev. Fr. Jerome Velichore in initiating and implementing this great project needs commendable appreciation.